The Bible and its heroes come to life in this stunning work by Japanese-German artist Issey Fujishima. From war-torn Jerusalem to the wilderness of the Jordan river, “The Reign of God” invites you to a dangerous land where priests, prophets, and kings struggle for power. Blending Asian and Western styles this graphic novel delivers an epic character drama about friendship, faith, and revolution. Its vision of the Gospel will touch everyone who cares about Jesus and his message of renewal and compassion. Radical Jewish rebels have declared independence from Rome. Jerusalem is a theocracy, but the Roman army prepares its final battle against the insurgents. In the midst of fire and bloodshed, two unlike men cross each other’s path: Yosef, a young aristocrat who works for the empire and Shimon, an old man from Galilee. He claims to be a disciple of “Lord Yeshua,” the crucified magician some people call Messiah. Does this story hold a key to saving the Jerusalem from doom? And can it save old Shimon from death on the cross? 5.0 out of 5 starsWow, loved this different perspective. I can honestly say I didn't know what to expect when I read this, but it's a very human look at Jesus. Also, it's steeped in historical accuracy, so at times I wasn't sure who was who (because the names are historically accurate), and that made it even better, since I couldn't add my preconceived notions to the story. I bought one for my brother, who is a pastor, and I'm waiting for the second one to come out. 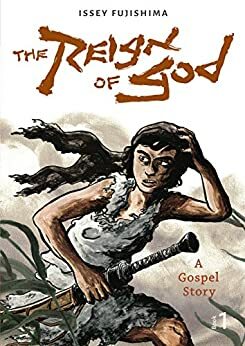 If you are a fan of Anne Rice's historical fiction on Jesus or listen to the Liturgist podcast, I think you should pick this up. It gives you a lot to think about.